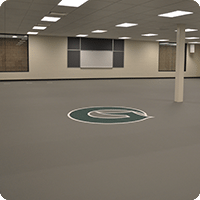 A multipurpose floor system comprised of a rubber base mat laid in adhesive and a two-component polyurethane surface that is field applied in a seamless monolithic application. 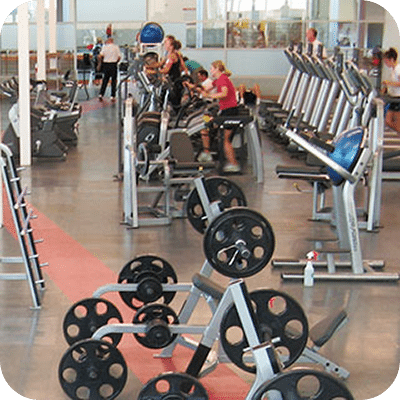 While Action Herculan MF 7+2 is a great exercise, aerobic, multi-purpose floor, it is not recommended under free weights. Resicore Rubber GY is constructed with a calendared Virgin Rubber surface that is durable and easy to maintain. The textured surface offers excellent traction and performance under foot. The force reduction base layer is made from a blend of recycled and virgin rubber formed with a basket weave profile providing excellent shock absorption and energy return. Dropzone Droptile is an elevated recycled rubber tile system designed for comfort underfoot, impact noise reduction, and durability. 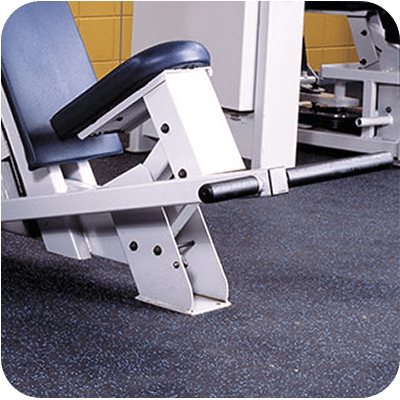 Droptile is ideally suited for weight rooms and training centers. Dropzone DropDeck is constructed with a calendared High Impact Virgin Rubber surface that is durable and ice skate resistant. The textured surface offers excellent traction and performance under foot. The force reduction base layer is made from a blend of recycled and virgin rubber formed with a basket weave profile providing comfort. 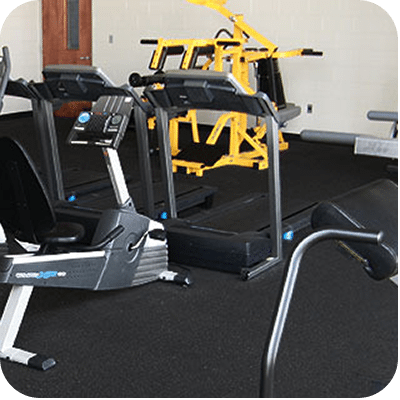 This product is ideally suited for weight room, fitness centers, ice skating arenas, locker rooms, and more. Made from nearly 100% recycled rubber, Dropzone is an ideal flooring system for a variety of applications. 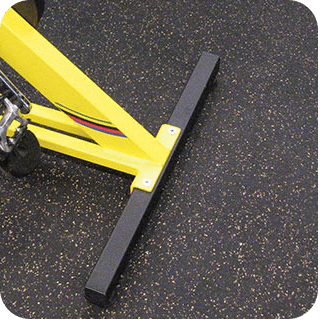 Whether in rolls or tiles Dropzone is suitable for Fitness Centers, Health Clubs, Heavy Traffic Areas, Training Facilities, Ice Rink Hallways, Field Houses, Stadiums, Pro Shops, and many more. 3 types of installation: Interlocking Tile, full spread glue, installation on tarkolay (sheet material only). Checkout the rubber floor options from these manufacturers.